Once again, the vegetarians (aka myself and Prince Charming) are making the Thanksgiving turkey. I find this incredibly amusing. We will, of course, be supervised by familial carnivores to be sure the job is done properly. Someone else will carve the critter. A good time will be had by all. I’d like to take this day to say “Thank You” to everyone. Friends. Family. Folks who provide inspiration and encouragement. Readers of this blog. Readers on Facebook. Thank You All. The local shop that carries my beadwork has decorated for the holidays. Last year I was so far behind, participating in their festivities just didn’t happen. This is one of the ornaments I made for the shop tree. It’s a geometric take on the triangle beading I’ve done in the past. Amazing what ideas appear as you’re about to fall asleep! It also provides the perfect way to use large Chinese crystals. I added a touch of wire work to make colored swirls and eye pins. I think this gives a more festive appearance. The triangles are hollow. Being made from large delica beads (size 8), they hold their shape pretty well. Another nice thing about these is they are mostly unbreakable. While they are glass, it’s not the traditional fragile ornament glass; these are much sturdier. That’s always a concern for us pet owners – broken glass around the tree. Time to celebrate with margaritas and nachos! Well, at least for those of us who live in the Southwest. Everyone is invited; you too can become an honorary Southwesterner for today. Contrary to what you may have heard, Cinco de Mayo is not Mexican Independence Day, but instead commemorates the Mexican army’s victory over Napoleon III forces at the battle of Puebla. Be sure to smell the flowers! Let’s give thanks for all our good fortunes: large, small and everything in between. 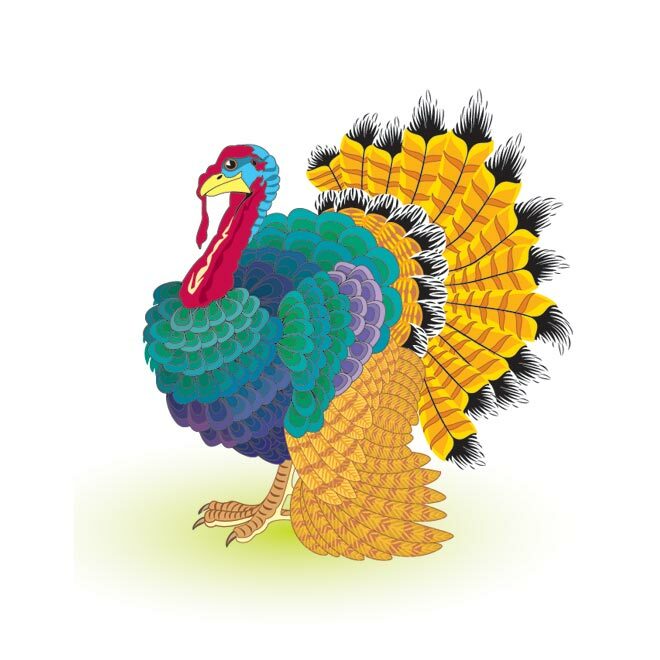 I am thankful I’m a Vegetarian, and don’t have to eat this handsome fellow!